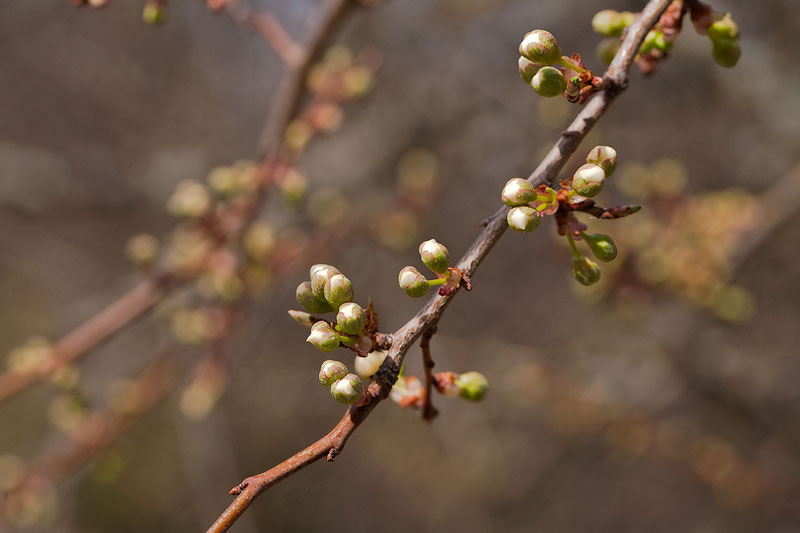 The plum trees are some of the first fruit trees to set buds and bloom. With this mild winter weather, these are likely to bloom only to be battered by winter storms when they return. Aaaah...signs of spring! Love it! Gorgeous bokeh, light, tones and DoF.